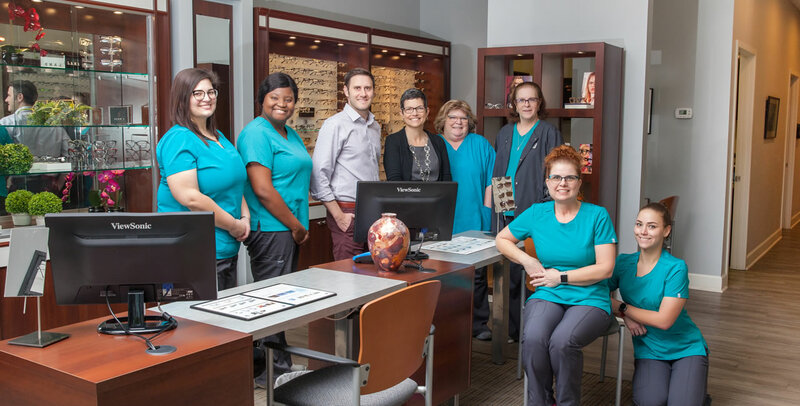 Dr Carvell and Associates has been meeting the eye care needs of the Jacksonville area for over 30 years, from preschoolers to seniors. Our mission is to treat every patient with the highest level of care and provide the best products to meet their individual needs. Dr. Melanie Carvell and Dr. Lampedecchio provide comprehensive eye examinations for glasses and contact lenses as well as for dry eyes, glaucoma, cataracts and the detection of ocular manifestations of systemic disease such as diabetes, thyroid disease, hypertension, allergies and inflammatory conditions. They also treat “red eyes” secondary to infection and injury. People usually notice the change when they’re 35 or older: working at a computer screen and shifting their eyes – i.e. from the keyboard to the monitor or from the calendar to the telephone – is suddenly more stressful for their eyes. In order to see clearly at different distances, they often unconsciously assume an uncomfortable posture, e.g. by leaning forward or raising their head. Back and neck pains along with dry or teary eyes are just some of the possible consequences. Computer lenses help prevent this type of visual stress: they are customized for your particular vision needs while on the job and are optimized for all required distances while working in front of computer screen(s). To maintain a lifetime of healthy vision, the AOA recommends a comprehensive eye exam every two years for adults ages 18 to 50, and annual exams for seniors age 61 and older. “At risk” adults should have more frequent exams. Dr. Carvell and Dr. Lampedecchio provide specialized talents and expirtise to offer a wide variety of services. Dr Melanie Carvell grew up in southwest FL, leaving to attend Duke University in North Carolina. After graduating with honors with a Bachelor of Science in biology, she then went to the University of Houston College of Optometry. While at UHCO, Dr Carvell served on the college’s academic committee, was a member of the Optometric Honor Society and received the award for the outstanding fourth year contact lens clinician. Upon graduating with honors, she moved to central Texas and ran the optometry clinic at two Primus clinics at Fort Hood, serving military dependants and retirees. Dr Carvell has called Jacksonville home since 1990, when she joined the practice of Dr. Blair Roberts. They practiced together until 2007, when she became the sole owner of the 45 year old practice. It is the family care aspect of this well established practice that Dr Carvell treasures above all else. 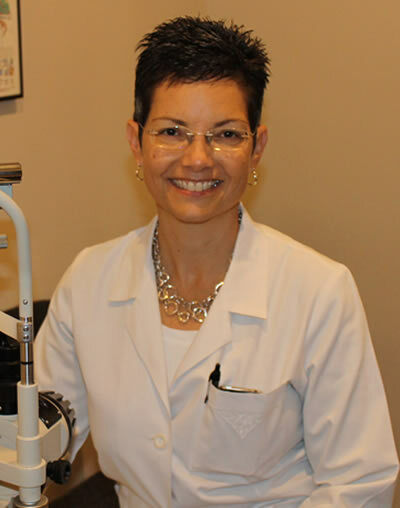 She enjoys seeing patients of all ages and providing the best eye care possible. She specializes in primary care and contact lens fitting. Dr Carvell is a member of the American Optometric Association, the Florida Optometric Association and the Northeast Optometric Association. When not in the office, she enjoys reading, cooking and most of all, spending time with her family. “Dr. L” is excited to be joining such a wonderful team at Dr. Carvell & Associates. Dr. Michael Lampedecchio takes pride in his work and commits himself to providing exceptional quality eye care. Dr. “L” completed his doctorate in Optometry and simultaneously earned a Bachelor of Science degree in Vision Science at Nova Southeastern University’s College of Optometry. During his clinical rotations, he passed both the Diabetic Retinopathy/Macular Degeneration and Low Vision Clinics with honors. Following graduation, Dr. Lampedecchio worked with a multidisciplinary medical group in Miami providing comprehensive medical optometry to a wide variety of patients. Born and raised just outside of Boston, Massachusetts, Dr. Lampedecchio attended Boston University where he earned his Bachelor in Science in Human Physiology. While at BU, he was a member of Sigma Alpha Lambda Honor Society and volunteered as a teaching assistant in the Infectious Disease Laboratory. He was also a student leader in The First Year Student Outreach Program which provides volunteer services to those suffering from HIV/AIDS as well as on residents in need within the Boston community. Outside of work, Dr. Lampedecchio loves to travel and experience the culture that various parts of the world have to offer. 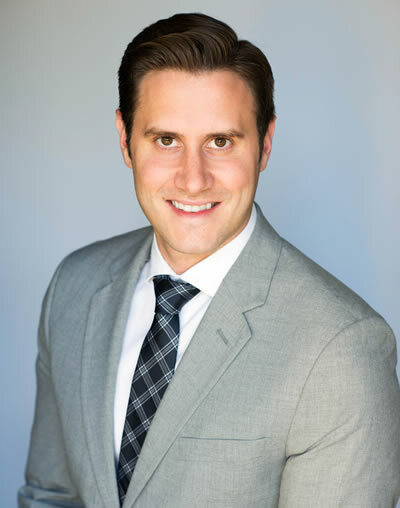 Dr. Michael Lampedecchio is an active member of the Northeast Florida Optometric Association, Florida Optometric Association and the American Optometric Association.